Do you have questions about our Midnite Solar power centers, or questions about solar in general? Give us a call at 1-800-472-1142. MidNite Solar pre-wired inverter systems offer a turn key solution to installing a battery based inverter system, saving you time in the field. With a pre-wired solution all of the confusion is taken out of selecting all the right parts. 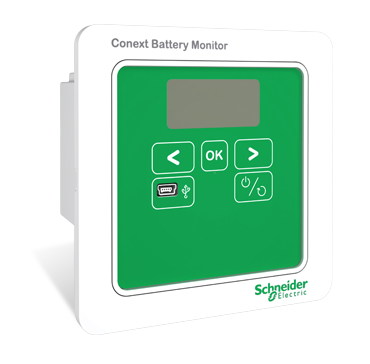 This system uses the 2 of the Schneider Electric Conext XW+ inverters, each rated at 5,500 watts and using a common 48 volt battery. It produces 120/240 volts AC and has a two seperate AC inputs. Below is a simple list of the major components included in the system. The Whizbang Jr current sense module for Classic provides battery state of charge and is included with this product. 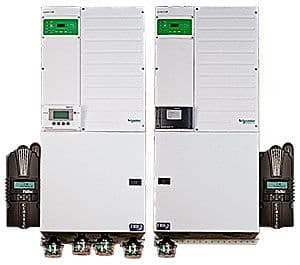 Two Classic 150 charge controller with DC-GFP (Ground Fault protection) and Arc Fault protection built in. Warranty - All MidNite components have a 5 year warranty. 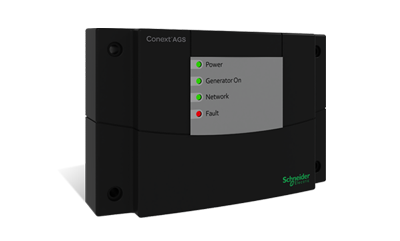 XW Inverters are covered by Schneider's manufacturers warranty.